Our blends of Polyester Powders let your motor breathe! We are the Original Powder Coating Company by which all others are judged. We do this by our 4 step process to properly prepare your parts for coating. Your parts will be stripped, blasted with an expensive plastic media to give the correct profile followed by additional cleaning. (sand will only contaminate your parts!) We phosphate etch every part to prevent any future rust and give great adhesion for the powder paint. Proper masking of parts is very important. This eliminates you having to spend hours of cleanup prior to reassembly. We massage all the welds, mask properly the Vin numbers and the motor mounts for a perfect finish. This is what sets us apart from others! We suggest you add a coat of wax to your parts upon receiving them. Then, after assembly, you can hand buff the applied parts for a brilliant shine. Our blends of Polyester Powders let your motor breathe, letting you customize your head and cylinders! And while exhausts get too hot to coat, exhaust shields can be coated on the exterior side with great results! We can also powder over chrome if the surface is good. Poor chrome, peeling/pitted, must be stripped prior to powder coating. Parts must be made of metal to conduct the positive charge. Parts with Bondo cannot be powder coated as it acts as an insulation. 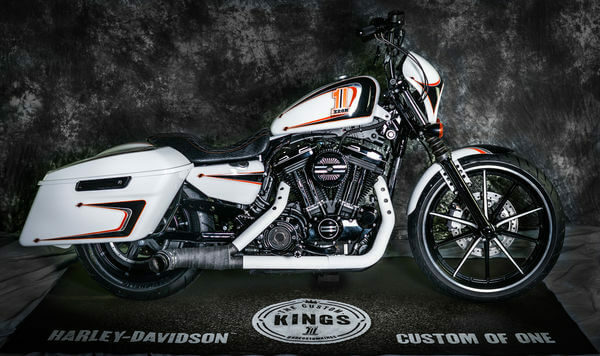 Check out what Baggers magazine said about our flawless powder coating! Note: Prices are subject to change, Candy & Metallic Colors add 10%. Strip Charge may apply when required. All bearing, valves & cylinder studs must be removed by customer. 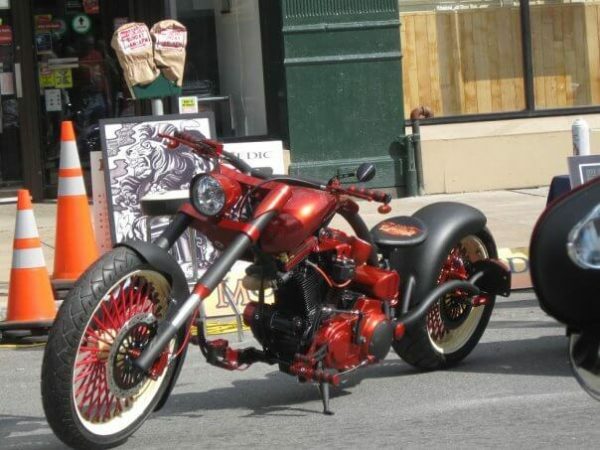 Those parts not removed will be professionally removed at our local Harley dealer. These costs will be invoiced to customer. Sumax offers a variety of "in-house" colors which we stock here at our location. If you have a custom job that needs a specific color to suit your needs you can visit Prismatic Powders at the link below to view a large variety of colors, and request samples. If you choose to use a non "in-house" color there will be an additonal charge for the cost of powder + shipping. Back in the early 1980’s the way we would put color on to metal was by anodizing. It had its limitations. 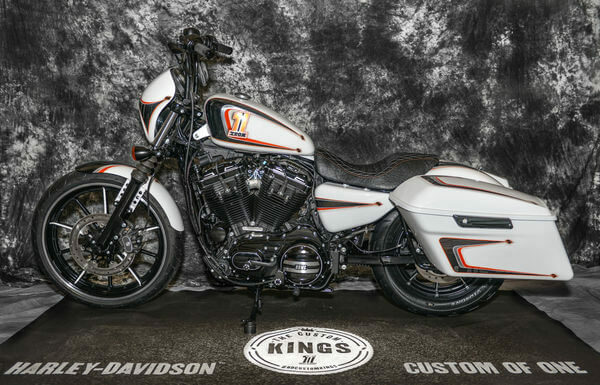 You could only use aluminum billet. Casting was out due to the molecular structure. Motor heat and sunlight would fade the colors. Powdercoating was just beginning to be used as an environmentally friendly industrial finish. It was durable but had a rough orange peel finish. In 1987 I purchased a new powder gun and began experimenting. 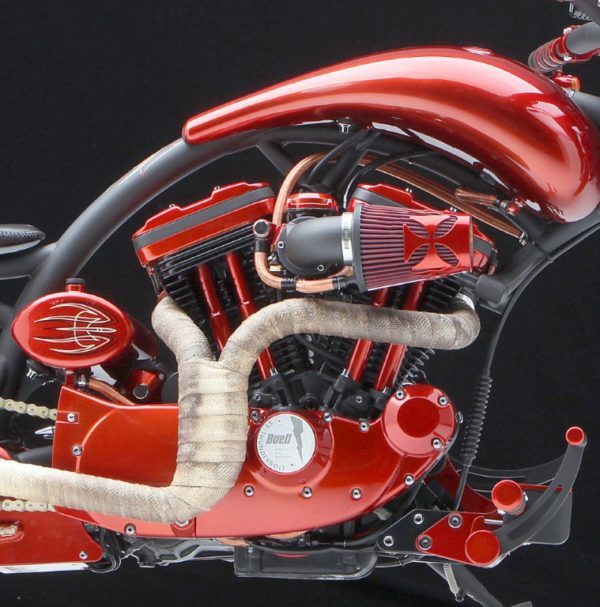 Sumax would be the first company to specialize in powdercoating motorcycle parts. We continue to work closely with powder manufacturers to develop powders that when properly applied result in a glass like finish that dissipates heat and retains their deep rich hues. Our competent staff takes pride in prepping, masking and packing your parts. Our high end work continually graces magazine covers and has appeared in many TV shows. 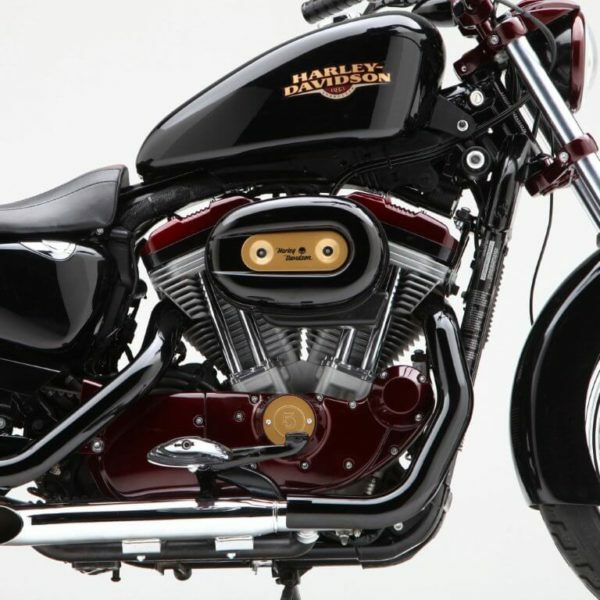 In addition to motorcycle parts we do work for clients that demand a truly outstanding finish. Our client list includes Disney, MGM, the Smithsonian Institute, NBC Studios, Caesar's Palace and Eversan Score Boards. It is the finish that sells the product. How can we help you? Call us at 315.768.1058.